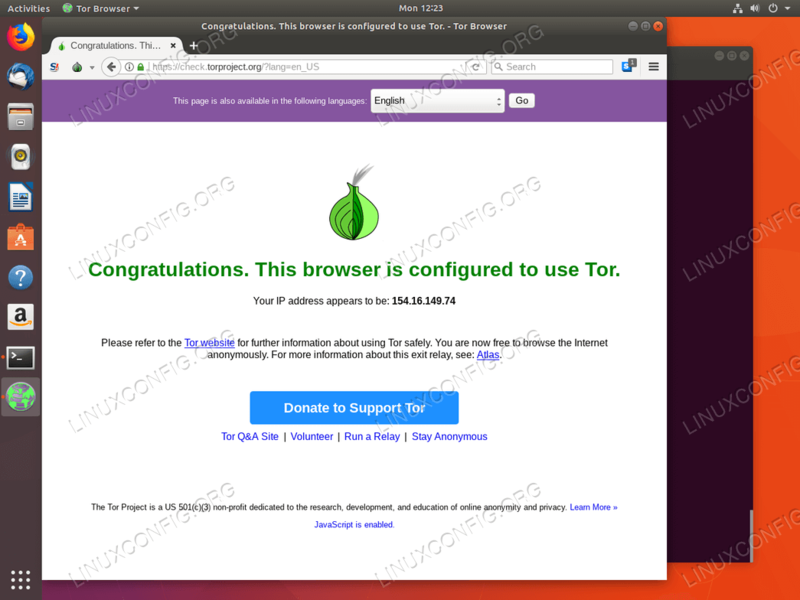 To following article will explain how to download, install and use Tor Browser on Ubuntu 18.04 Bionic Beaver Linux. The aim for Tor Browser is to protect your online privacy, hence from this reason make sure that your Tor downloaded has not been tempered with by properly verifying Tor Browser's signing signatures otherwise Tor Browser have an absolutely opposite effect for you. 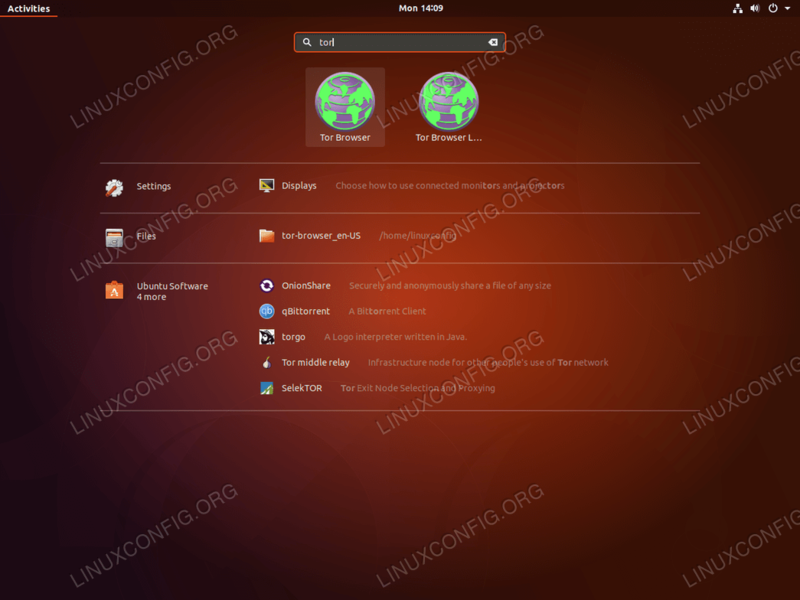 There are two icons, one is for Tor Browser and the other for Tor Browser Launcher Settings. 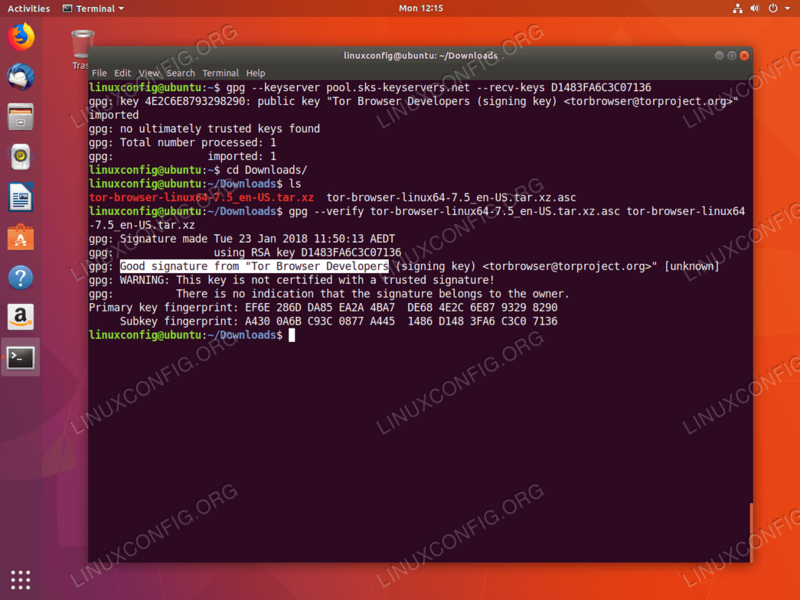 The first step is to head over to the official tor browser website and download the latest Linux Tor Browser package and relevant *.asc signature. Please be aware that the tor project is often a target for hackers and DDos attacks. From this reason we are now going to check a correct signing signatures of our downloaded Tor Browser package. Check for a Good signature from "Tor Browser Developers text on the above Line 4. All seems to be in order! Wait for the Tor Browser to connect to a tor network. 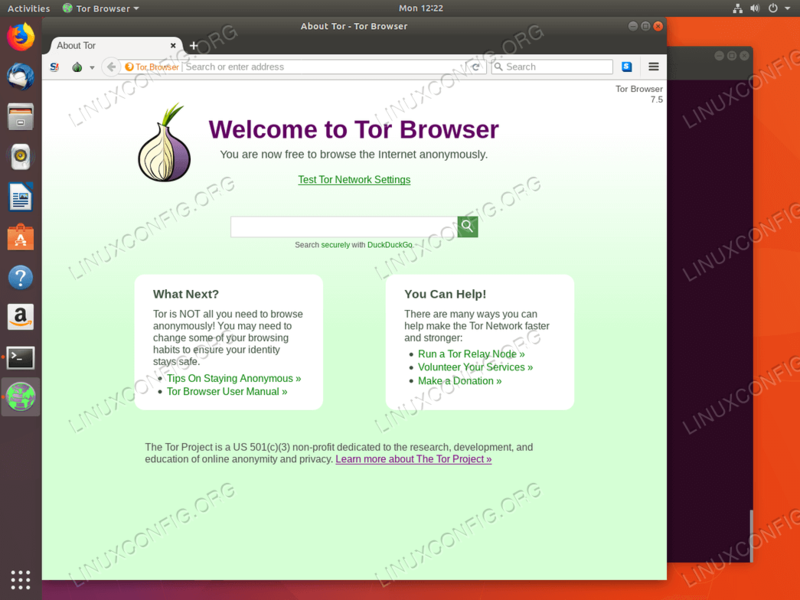 Hit Test Tor Network Settings link to perform Tor Browser test. If the IP address you see is not your private external IP address then you are good to go browse privately!